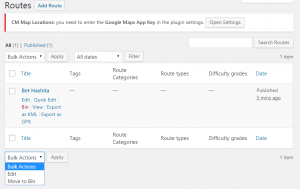 The WordPress Google Maps Route Manager plugin lets users place markers to create custom routes and build a catalog of interactive maps along points of interest anywhere in the world. This is the ideal route planner to display bike rides, nature walks, or running trails on your WordPress site. 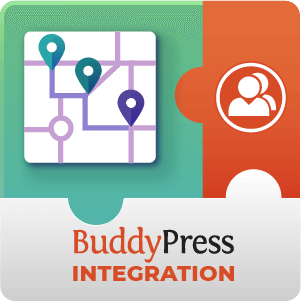 With Strava, BuddyPress, and PeepSo integration, route sharing has never been easier! 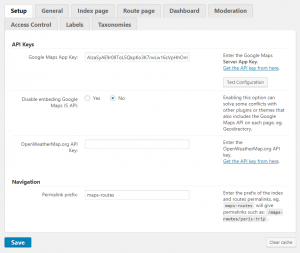 The CM WordPress Google Maps Route Manager plugin lets users draw routes to build a catalog of map routes and trails along points of interest. 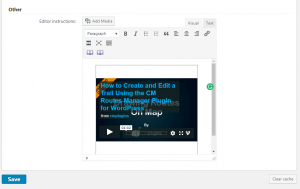 Create custom Google Maps to display interactive maps on your WordPress site with this easy to use route planner mapping tool. Custom maps are an excellent way to visually boost any travel blog or website for outdoor enthusiasts by enabling a simple way to share local routes and location information. If you’re looking for a way to display multiple locations on one map and connect markers with a custom route, this is the best Google Maps plugin available! This WordPress Google Maps plugin lets users easily create fully customizable route maps through: choosing route direction, localizing route information, adding geographic tags, building multiple travel routes directly within WordPress, and much more. With the Google Maps Route Planning feature, users can customize map markers and display pictures, descriptions, searchable map markers and other metadata for each map location. 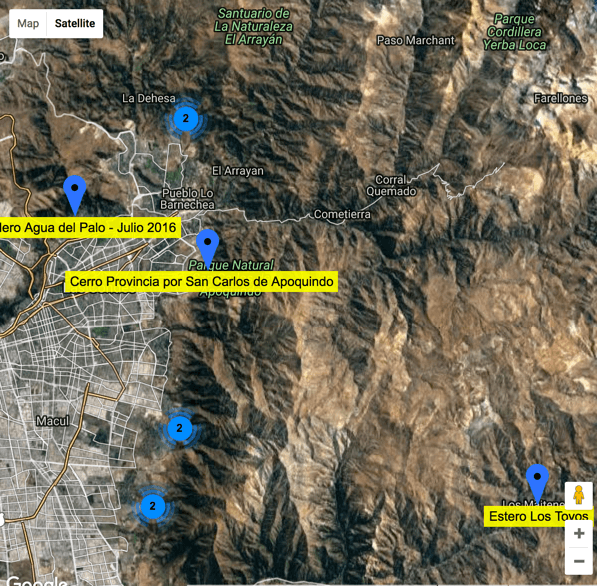 Using this Google Maps plugin lets you display an interactive map with a detailed trail description featuring additional location data like elevation and temperature for locations anywhere in the world. 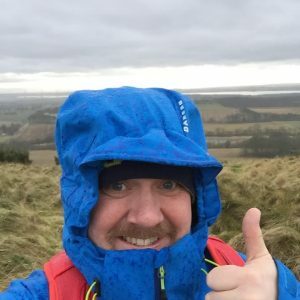 @fifewalk at WordPress.org: "Excellent Plugin - We run a volunteer based website which is recording and sharing walking routes in our region and this plugin has proved to be ideal. I look forward to see it develop. The pro version is well worth the money!" The WordPress Google Maps Route Manager plugin lets users track and share hiking trails, biking trails, ski trails, walking paths, running routes, roadtrip maps, and more. 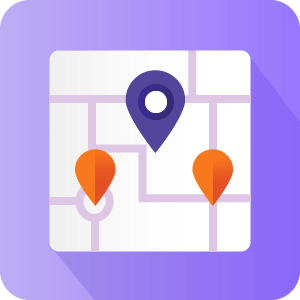 Show all routes on a map index page, display maps using map widgets and Google Maps shortcodes to create mobile responsive, interactive maps anywhere on your site. Through Google Maps integration, the Routes Planner tool lets you easily draw or calculate an optimized trail between multiple locations. Sean Makin: "Perfect Fit - The CM Map Routes Manager was the perfect fit when it came to sharing walking routes." Routes created within the route mapping plugin can be shared and used on mobile devices by transferring a KML or GPX file to a mobile route tracking app, such as Strava or MapMyHike. 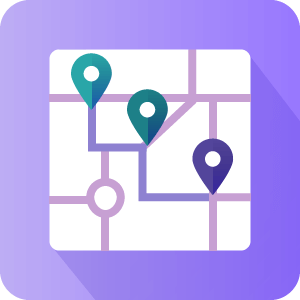 Upload a KML or GPX file from your mobile GPS tracking device into the Routes Manager plugin to start building a map from a route you’ve already completed. Creating a beautiful route map on your WordPress site is easy with the CM Google Maps Route Manager plugin. 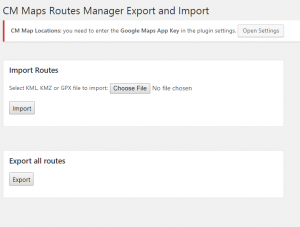 The Routes Manager Google Maps plugin accepts GPX files from navigation devices such a Garmin, Magellan, and other popular handheld GPS devices. 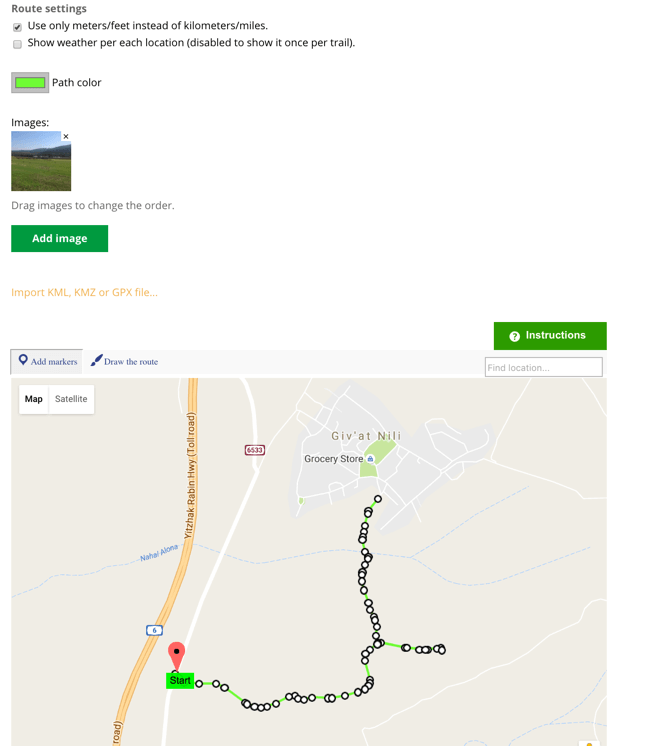 You can use the WordPress Google Maps Route Manager to draw walking paths, hiking trails, mountain bike routes, city walks, roadtrip routes, off road trails and more. You can adjust the build map functionality to automatically show the best route as you drop route markers or choose to manually draw your own map route and route direction with your personally defined trail. Map marker icons can be customized, and groups of locations can be displayed as a map maker cluster upon zooming out. You can also import locations and edit a route created on a GPS navigation device or mobile phone app such as MapMyHike. 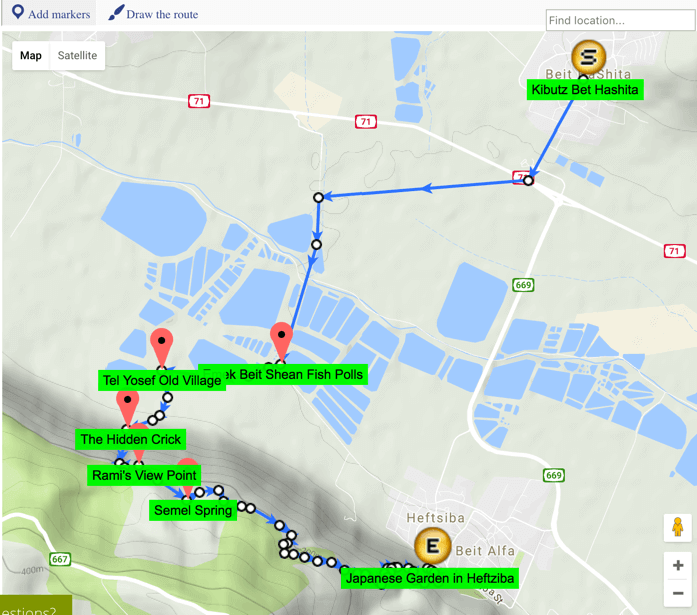 @yeverett at WordPress.org: "Great Support - The Routes plugin is the best I’ve found for managing trails and maps, combined with Locations plugin. Also CreativeMinds have THE BEST support of any WordPress plugin I have used. I asked two things and they responded quickly and politely, and fixed both super fast! Amazing." 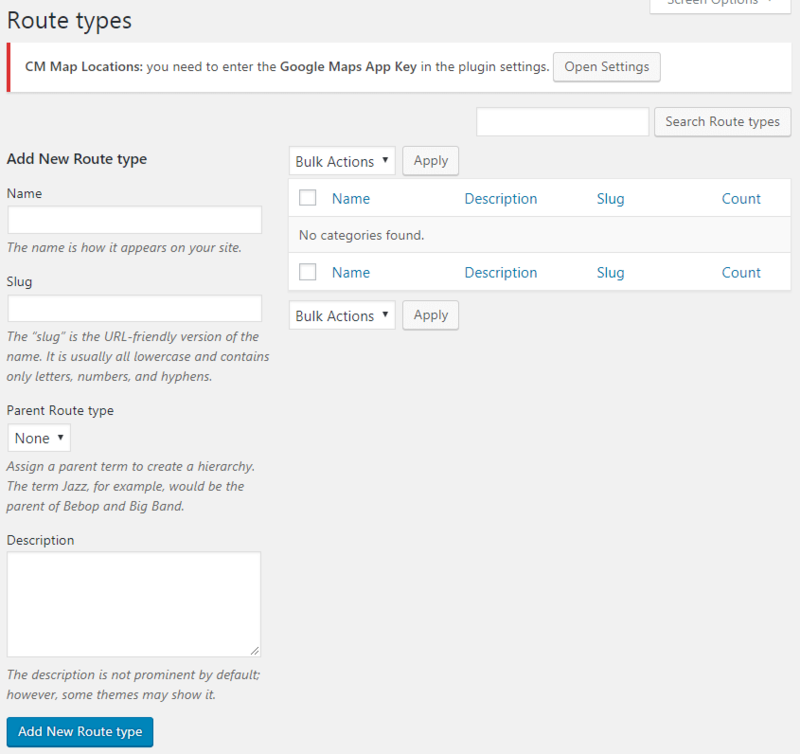 The CM Google Maps Route Manager plugin can easily be integrated with the CM Google Maps Location Manager plugin. When paired together, these two superb Google Maps plugins will allow you to display all map locations and map routes on the same Google Map. 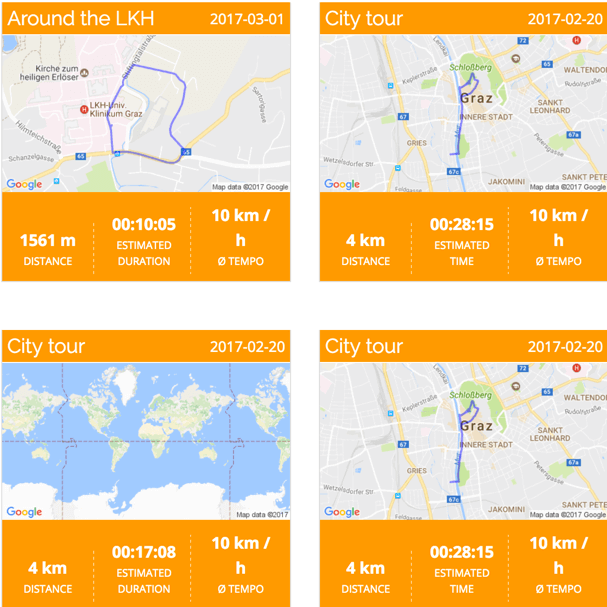 With this premiere interactive map bundle, users can view a map with multiple locations and routes, filter routes and locations, and click on a map marker to view details of a location or route on a dedicated description page. 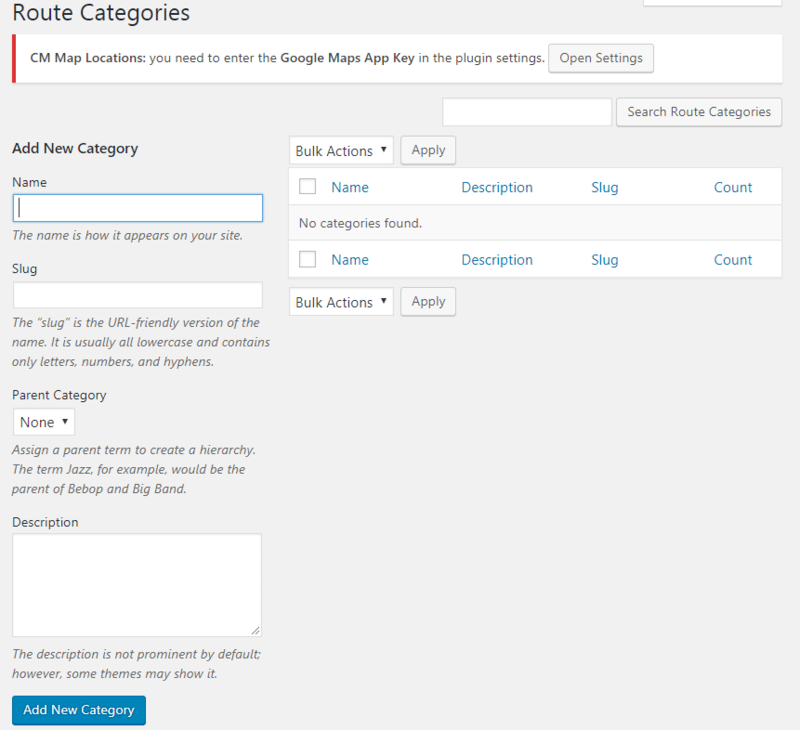 The Google Maps Routes Planner plugin can easily be integrated with the Map Locations Manager plugin. 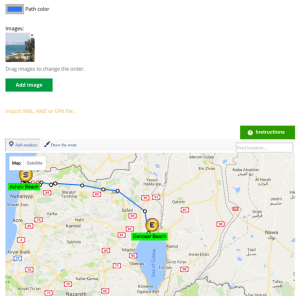 When paired together, these two superb Google Maps plugins will support showing all map locations and map routes on the same map, while clicking on a map point will take you to the location or route description page.. This is the ideal solution for building a point of interest (POI) knowledge base complete with detailed route information. @eliasgarcia at WordPress.org: "Great customer after buying PRO version - I had some compatibility problems with my purchased theme, but the guys from CM plugin help me to correct all the issues to make thinks work. Great help=great plugin!" Google Maps Base – Use Google Maps to draw your own routes. Route Planning and Optimizing – A great way to plan your route and optimize travel through using waypoints and nearby locations. Mark Locations and Waypoints – Add specific locations to a map route with descriptions and images. Display Google Map Trails with Elevation Change – A chart with the route’s elevation gain and loss may be shown directly beneath the route map. Upload GPX and KML Files – Upload map routes created on a GPS navigation device or smartphone app. Download Route GPX and KML files – Download map routes for use on a GPS navigation device or smartphone app. All frontend labels can easily be changed to any language allowing you to adjust the user interface to match that of your audience. 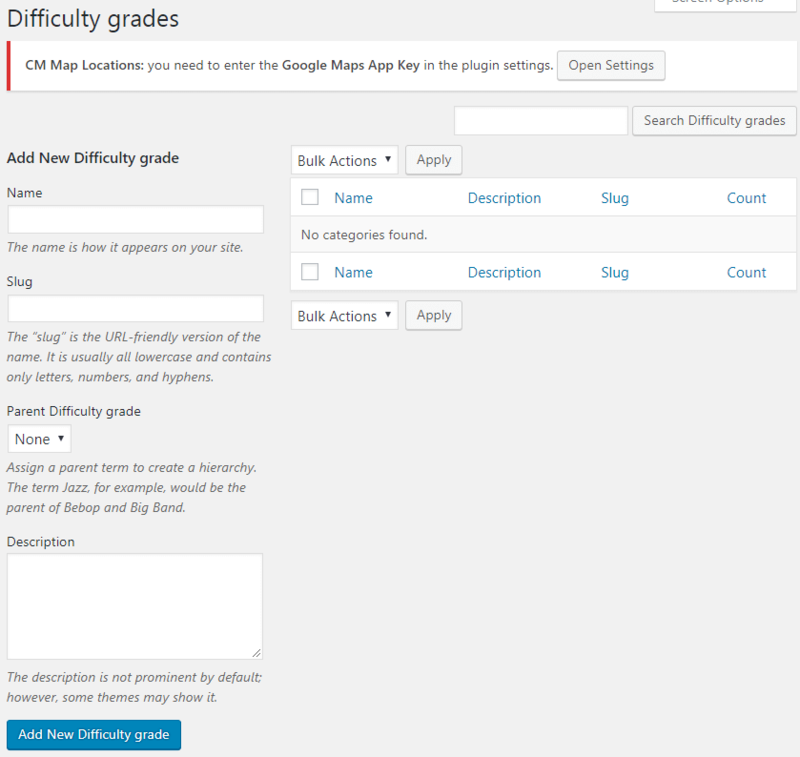 This also includes adjusting terminology to fit your use case, allowing you to fully customize the map theme. 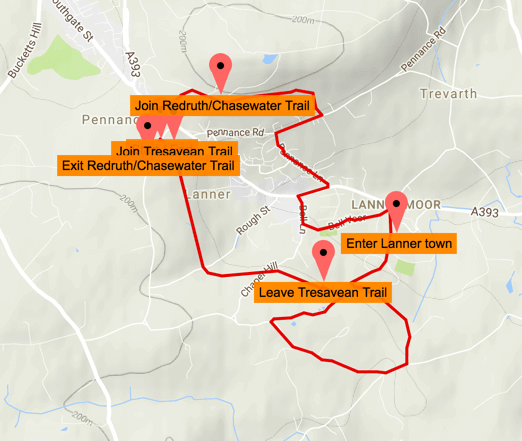 Add points of interests – You can add points of interest along the route. Each point of interest can have an image and description content. Information can appear as an info-tip on the map route layer. Shortcodes – Several shortcodes are supported. Shortcodes can be embedded in posts as a widget to show a single trail, or used to show a map with all trails in a specific category. 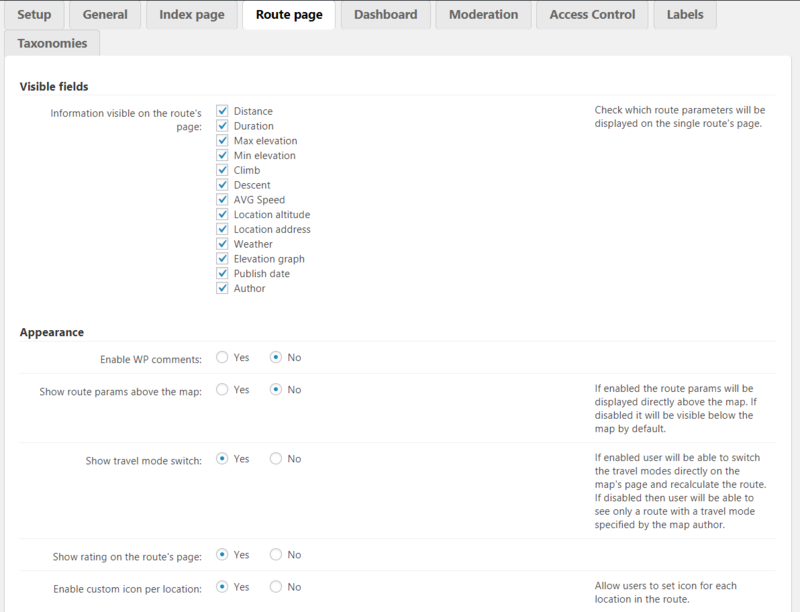 Shortcodes can also show a user dashboard with all uploaded routes. 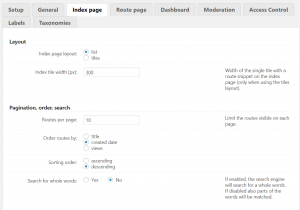 Search – Trail description, map locations, and route name can be searched by keywords. 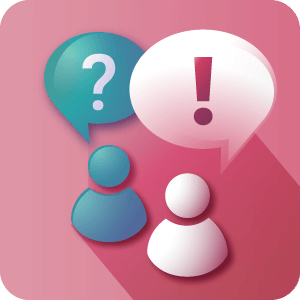 Zip code search – Routes can be searched by region using a zip code search. A zip code must be assigned to a location within the route to the zip search to work. 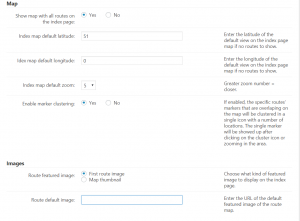 Custom icons – Upload your own icons to create custom map markers for locations along a route. 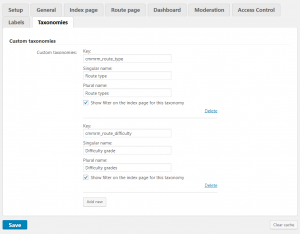 Taxonomies – Each route can be indexed under several taxonomies such as route difficulty and route type. 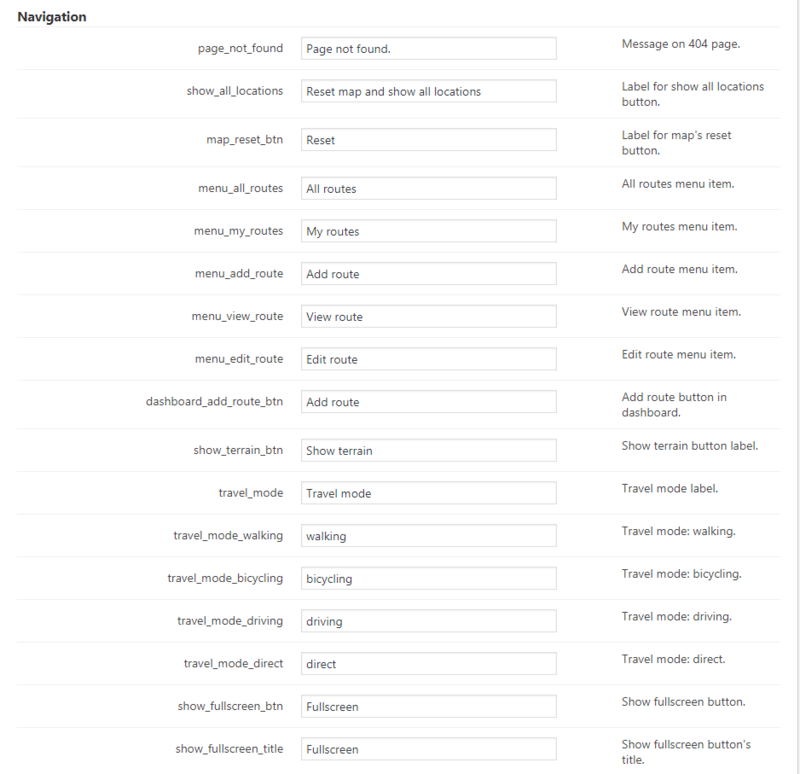 Routes can be filtered using taxonomies to sort. Vote for a route – Routes can be displayed with a star rating map widget which users can use to rate each route. 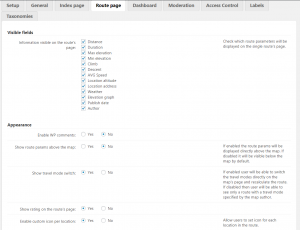 Access control – Moderate which role can create and view map routes. Translate text labels – Easily modify all text labels and messages appearing on the plugin front-end display. 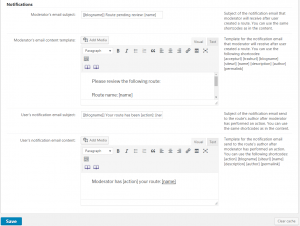 Moderation and Notifications – The admin can moderate routes submitted by users. 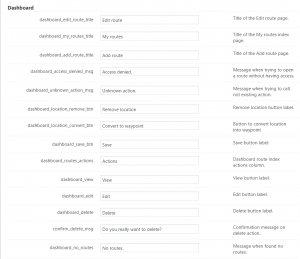 Admins can choose to receive notifications for new routes submitted by users. Users can be notified when their route is approved. 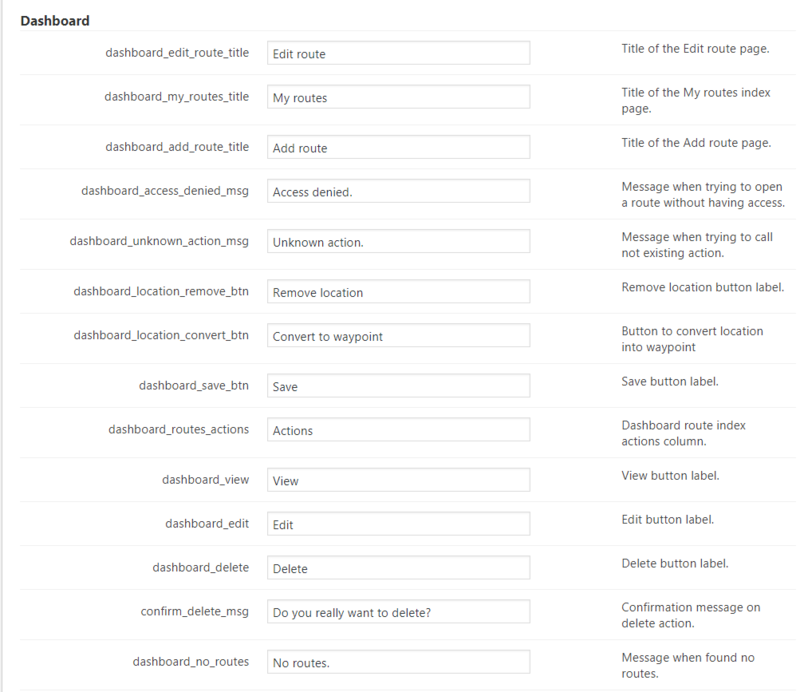 User Dashboard – Users can view and edit all their routes in a user dashboard showing all their posted routes. Tooltips – Users can add tooltips to the route map for each location and can determine the amount of information displayed in the map tooltip. If enabled, tooltips will automatically display once a route loads. Weather information – Weather information can be shown near each location or on the top part of the route description. Can I use the plugin to show driving routes? Can I use a shortcode to show a route within my post? 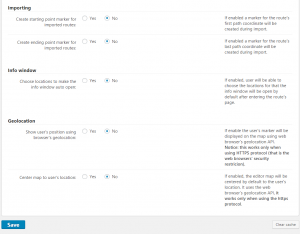 Can I import trails created with MapMyHike or MapMyWalks? Can I export a route I have created to use elsewhere? How many trails can I store with the plugin? Can I change the language that my users see to French (plugin generated)? Yes, all of the front-end labels can be changed manually to any language you like. You can even just change the phrasing or the style of english if you prefer something more formal or more casual for instance. This is done through the admin dashboard. 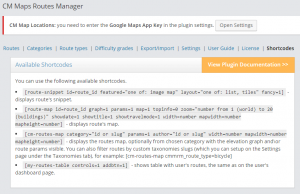 Go to CM Maps Routes Manager Pro → Settings → Labels. Click hear to learn more. Can visitors to the site create and publish routes without being logged on? Not by default. 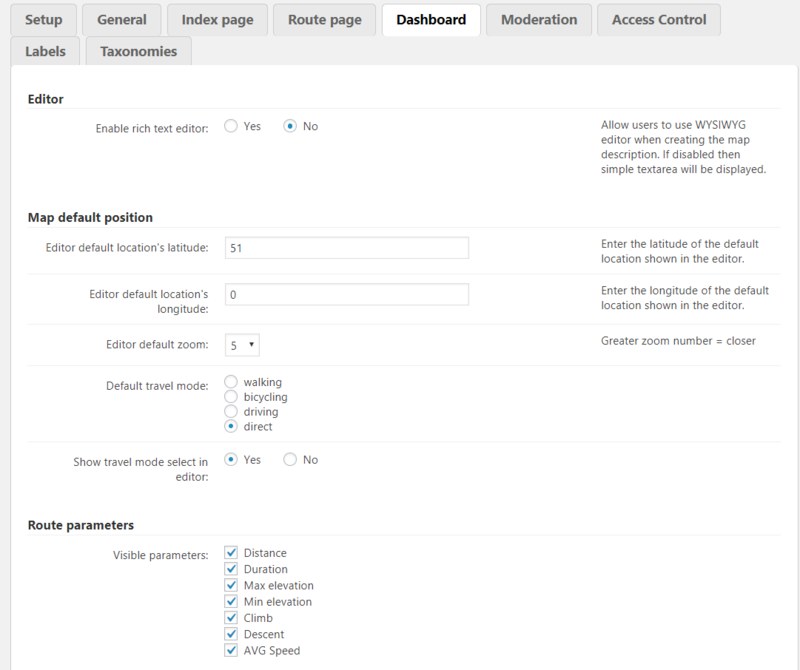 For non logged in users to publish routes using our plugin you will need the Routes Anonymous Posting addon. You can view the product page for this add-on by clicking here. Can I choose which routes appear on my site before they're published? 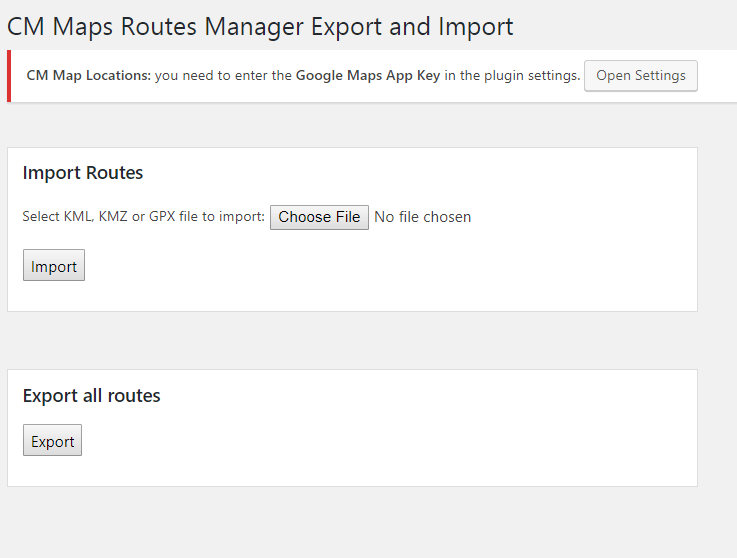 To see the major features of the Google Maps Route Manager Plugin, check out the video clips below. Or try them out yourself on our demo site! Very happy to have found a maps-plugin with elevation graph and working with shortcodes. Many settings. Support was helpful and answered quickly. The Routes plugin is the best I’ve found for managing trails and maps, combined with Locations plugin. Also CreativeMinds have THE BEST support of any WordPress plugin I have used. I asked two things and they responded quickly and politely, and fixed both super fast! Amazing. We run a volunteer based website which is recording and sharing walking routes in our region and this plugin has proved to be ideal. I look forward to see it develop. The pro version is well worth the money! I have been using many tools to document my hiking trips and this one is great! When we plan a trip we’re sending the map with the trail to our scouts’ parents. Great solution. I had some compatibility problems with my purchased theme, but the guys from CM plugin help me to correct all the issues to make thinks work. Great help=great plugin! Updated CSS for search filters. Added feet and miles calculation in the elevation graph. Merged altitude and distance boxes on the elevation graph. Updated CSS for mobile devices. Fixed issue with the elevation graph. Elevation graph improvements: added options to change the slopes colors and showing the distance from start label on the same layer as the elevation label. Fixed issue with markers not showing up on the index page. Fixed bug with accessing guests to the routes front-end dashboard. Added option to enable/disable the post type’s settings: with_front and exclude_from_search. Added metadata/time node to the exported GPX file that contains the route creation date..
Added protection agains using jQuery.fn.sortable if function doesn’t exist in order to avoid some conflicts. Using the distance entered by a user on the elevation graph in the distance from start tooltip. Added the tooltip showing distance from the start on the elevation graph on mouse over. Fixed problem with not showing some slopes. Fixed text direction on the slope label. Fixed problem with the map not showing on the single page and on the editor page. Restored the title field in the search widget. Fixed bug with CM Map Locations integration. Fixed bug with number showing in the route snippet. Fixed loader issue in the route editor. Fixed CSS for the search widget. Added loader while uploading an image. Showing slopes on the elevation graph. Added global settings and settings per route. Added option to change the stroke weight of a route path. 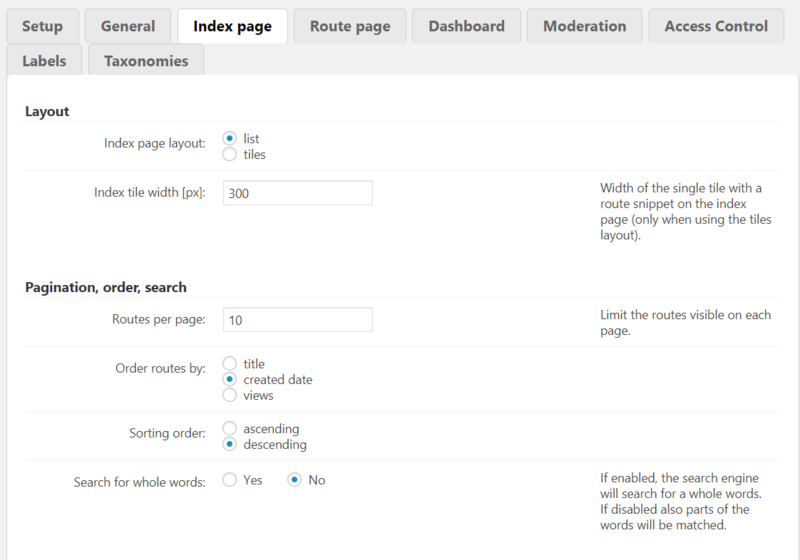 Added ordering routes by rating on the index page. 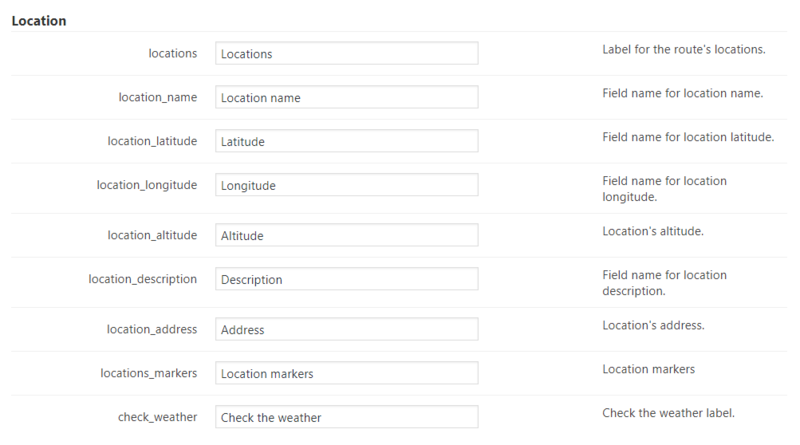 Added ordering routes by the user’s location proximity on the index page. Including elevation data when calculating the ground distance for imported routes. Calculating ground distance in JS by elevation graph response. Fixed issue with update script. Changes related to new Strava integration addon. Improved the embed overlay, added Copy to clipboard button. 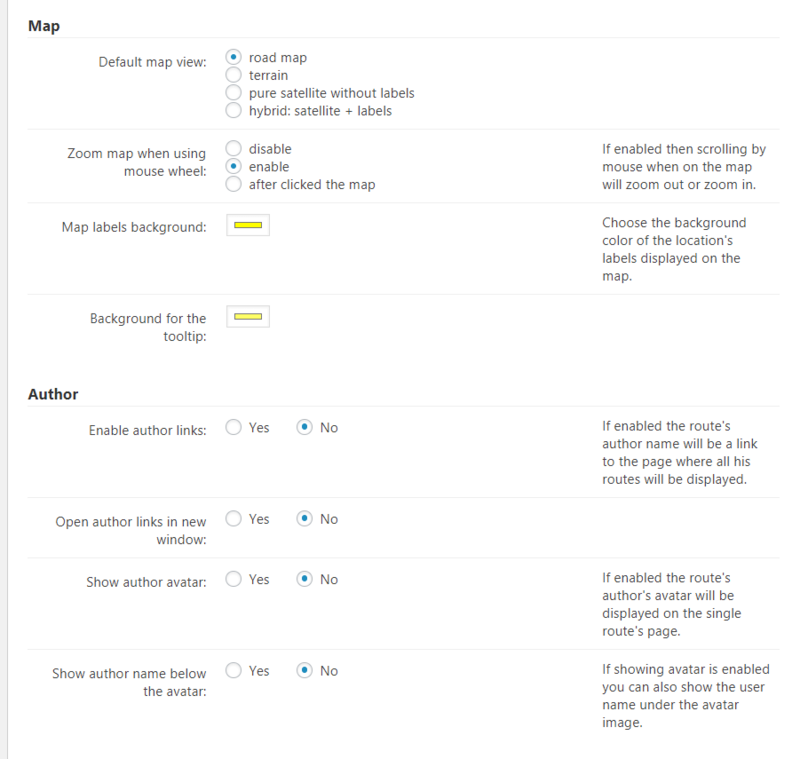 Removed option “Allow to edit routes in wp-admin” since now there are always two links visible (back-end Post edit and front-end Route editor). Added option to remove locations numbers. Added option to use Direct travel mode for all modes. Added option to choose the starting point for routes (first location or beginning of the path). Added option to hide Google Places on the map. 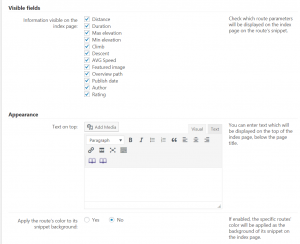 Preventing from showing info window on the iframe embed view. Fixed conflict with Yoast SEO plugin caused by a bug on the index page. Fixed issue with downloading GPX on the custom single route page. Fixed bug: fullscreen causes the route steps doesn’t work. 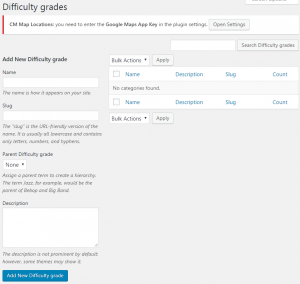 Fixed PHP bug in cm-routes-map shortcode. 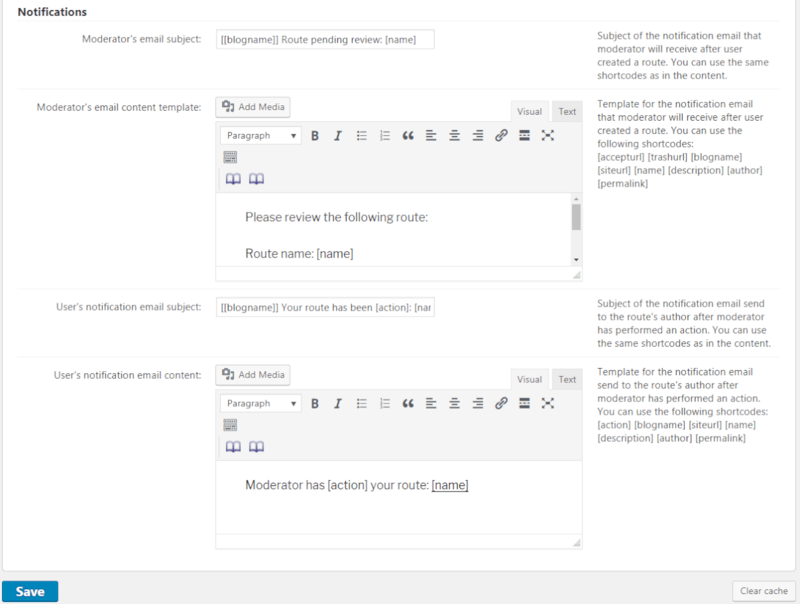 Added links to the Route Editor and Post edit on the admin bar and in wp-admin Routes list. Made build-in option a default gallery. Added new shortcodes for a single route elements. 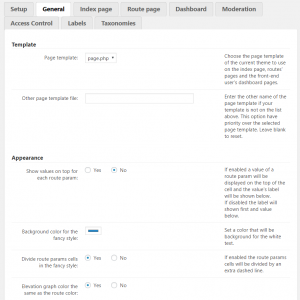 Added option to use a custom WordPress page with shortcodes for a single route page. 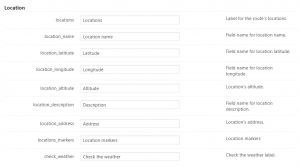 Importing waypoints from GPX files. Exporting locations to the GPX file. Added option to choose gallery library. Added Unite gallery support. Added option to change elevation graph size. Elevation graph enhancements – added crosshair and linked with mouse movement over the trail on the map. Added CSS style for printing. Added options to integrate index page’s map and single route’s map with CM Map Locations plugin. Changed “DIRECT” travel mode name into “Straight-line”. Added option to hide KML and GPX buttons on the frontend. Added option to remove fullscreen button since Google provides that button already. 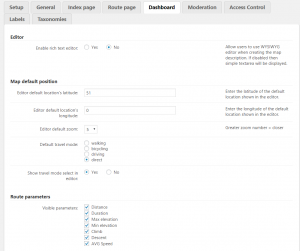 Added option to use standard WordPress’ “Edit post” page for each route. Added metabox with the route’s shortcodes. Added metabox with the route’s editor link. Added option to process shortcodes in the routes’ description and category’s description. Added shortcodes whitelist option. 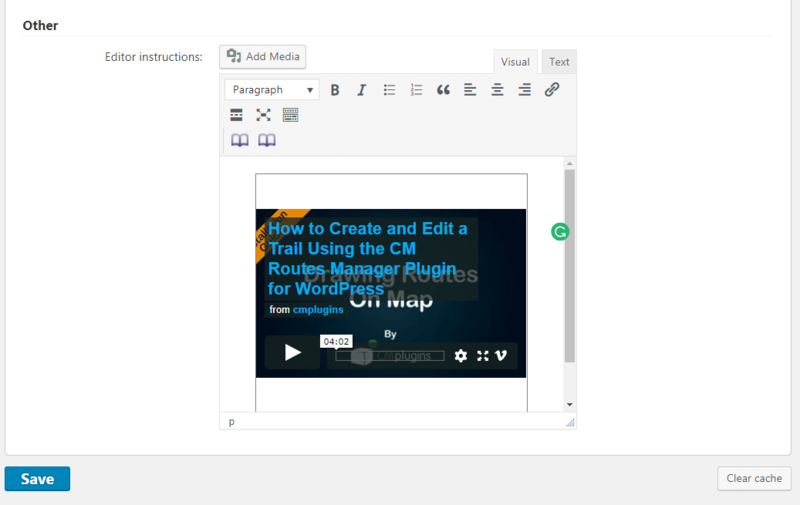 Added option to embed a route in the iframe. 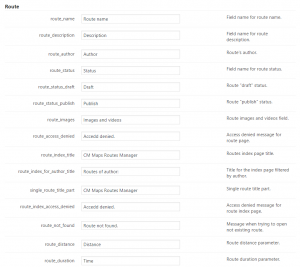 Added route ID column in wp-admin. Fixed issue with mouse wheel zooming. Fixed problem with exporting KML file from original GPX. 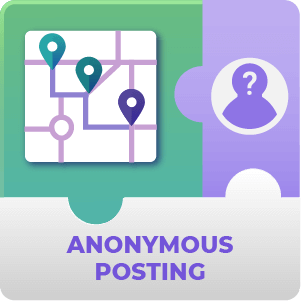 Changes related to a new addon: Anonymous posting for Map Routes Manager. 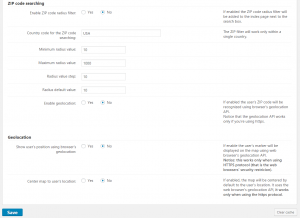 Fixed issue with saving routes – workaround for the WPML plugin conflict. 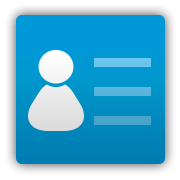 Added option to show the author name under the avatar. Fixed bug with geolocation map marker on the edit page. Added option to set max width and height for the info window. CSS fixes. Fixed issue with route params . Fixed title issue on some themes. Introducing new image upload method that doesn’t require Media Library access nor upload_files capability from the regular users. Added look and feel option. Added option to prevent mouse scrolling on the map until user click it. Added option to add a white outline around the trail polyline. Added option to set the height diagram color as the route color. Added option to center the map on the geolocation map marker. Added option to not show geolocation error pop-ups. Added option to refresh map calculation. Added option per location to show the info window once page loads. 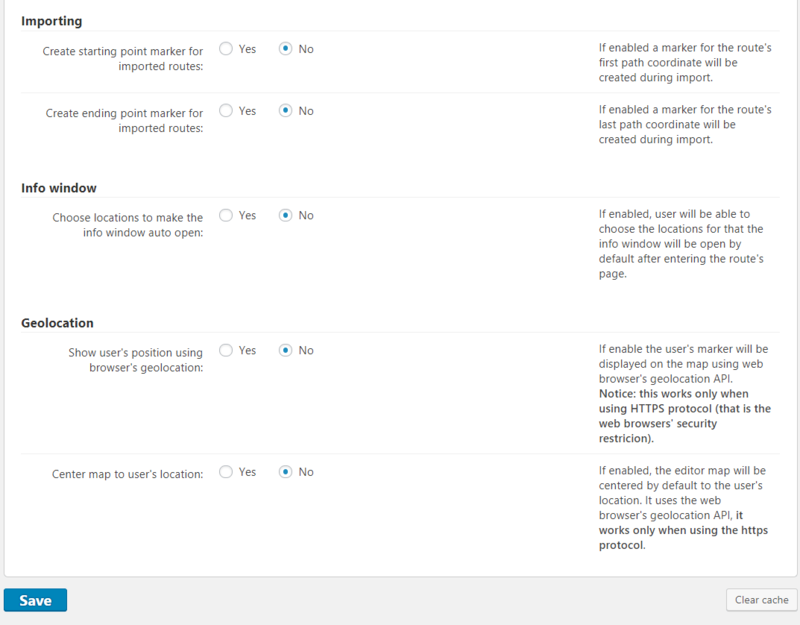 Added option to hide specific route params eg. climb descent on the Add route and Edit route pages. Closing info window with keyboard Esc button. Improvements in the settings sections. Fixed issues with showing fields. Fixed issue with editing the address. Fixed issue with map marker color. Fixed centering map on the editor’s page. Fixed issue with showing route params. Fixed showing map when no results found. Fixed issue with removing custom taxonomies. Fixed issue with showing map (JS error). 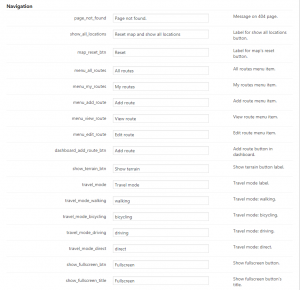 Fixed issue with permalinks to the routes’ custom taxonomies. Fixed bug with dividing trail polyline. Not showing the travel mode switch for the imported routes containing over 200 waypoints. Updated an error message text. 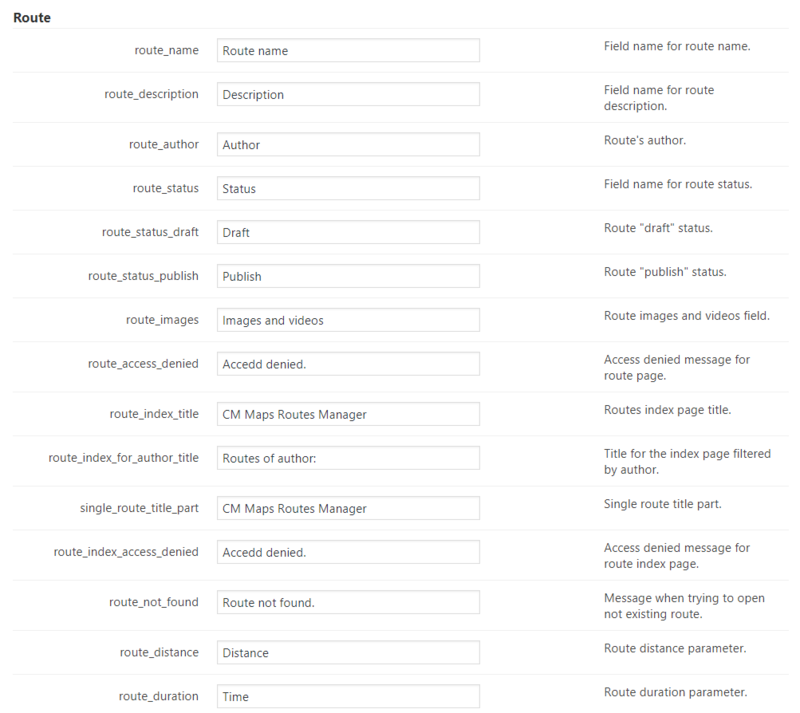 Added option to protect from browsing Media Library for specific roles when uploading an image for route. Info window overlapping with map markers fixed. Improved the info window default value. Added an option to search whole words in route searching. Added new parameters to the map shortcodes: width, mapwidth, mapheight. Added option to set maximum width of the image in the location’s info window. Added moderation and notification options. Added option to search whole words. Added option to change the location icon size. Added rich text editor for the index page top text. Added option to remove rating. 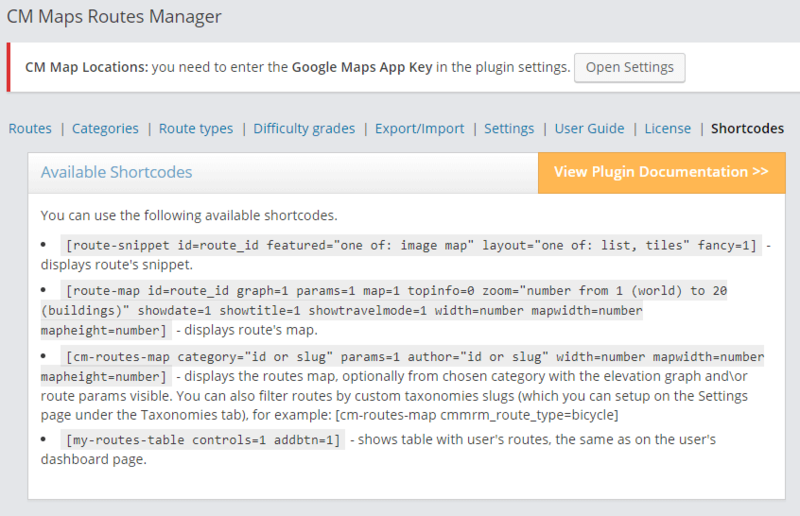 Added new shortcode parameters for the route-map shortcode (zoom, showtitle, showdate, showtravelmode). Fixed author parameter in the route-map shortcode. Added tooltip on locations option. Added info window for locations option. 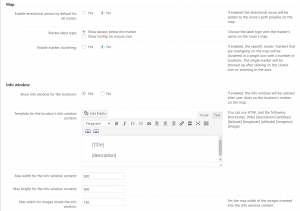 Integration with Gecka Terms Ordering for the categories custom ordering. 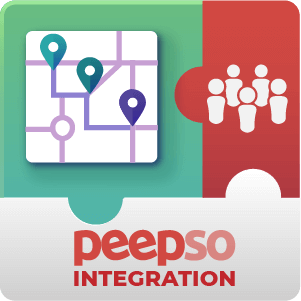 Changes related to the PeepSo integration. Fixed PHP error on the index page. Applied the map marker clustering enhancement. Including the elevation data from imported GPX to calculate more accurate route length. Added option to change a route’s average speed. 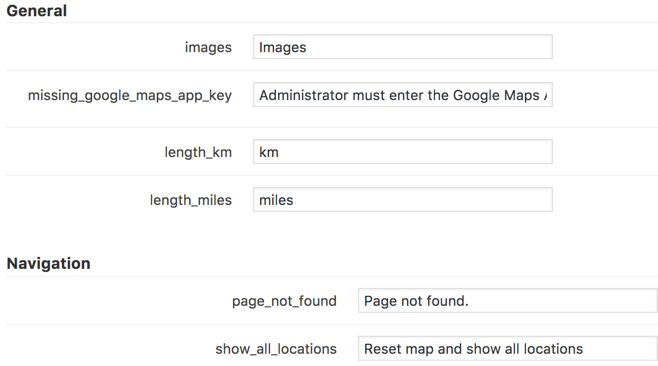 Added option to not embed the Google Maps API to avoid conflicts with the Geodirectory. Added option to not create starting point during the import. Added toggle fullscreen button for the index map. 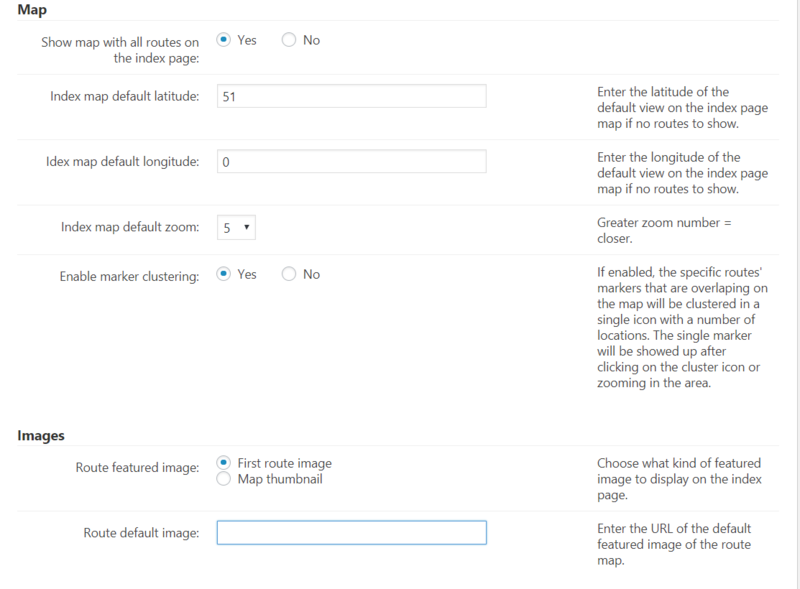 Added map marker clustering for index page map and single route map. Added option to not show the locations section on the route page. Added API key configuration check button. Added directional arrows feature for routes. Fixed bug with showing avatar. 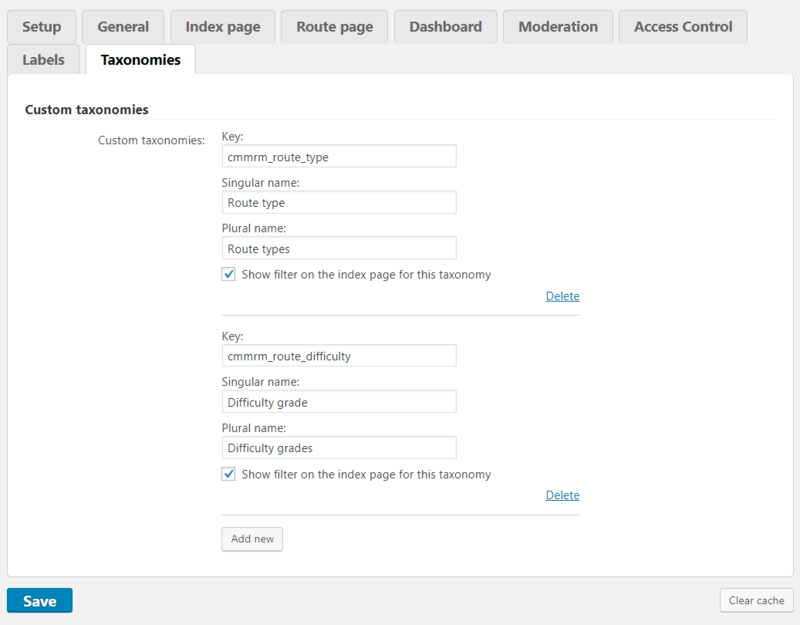 Added the custom taxonomies configuration tab on the settings page so you’ll be able to add any number of the new taxonomies for your routes. Fixed the index map issue displaying an example data. Fixed Google Elevation API query limit issue. Fixed lightbox issue on the route page. 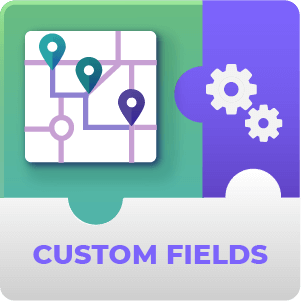 Changes related to the Custom Fields addon. Added option to extend the locations’ default icons set by adding an additional icon’s URLs. Fixed issue with elevation graph showing point on map. Fixed saving route type and tags when imported a file. Fixed editor loading on some themes. 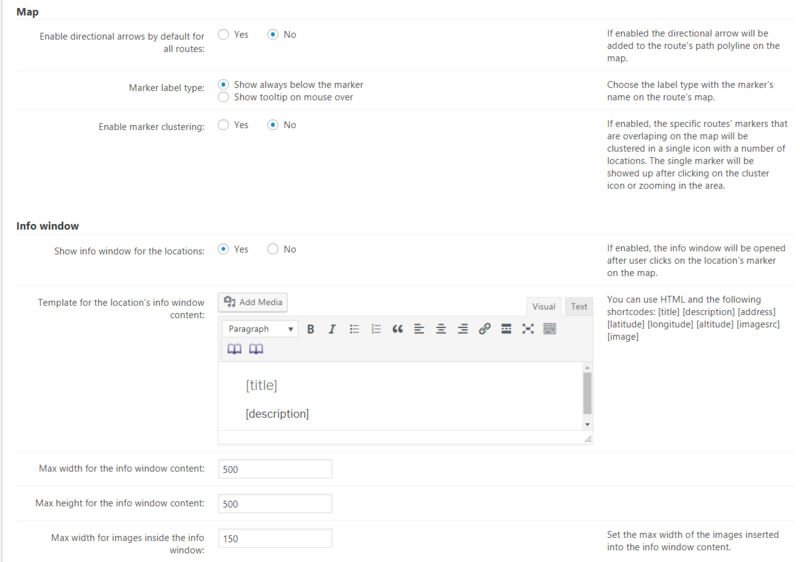 Fixed manually editing the route params on the edit page. Fixed PHP error when importing a route on the Edit page. Fixed the sidebar issue in Divi theme. Added option to remove date from maps tiles. 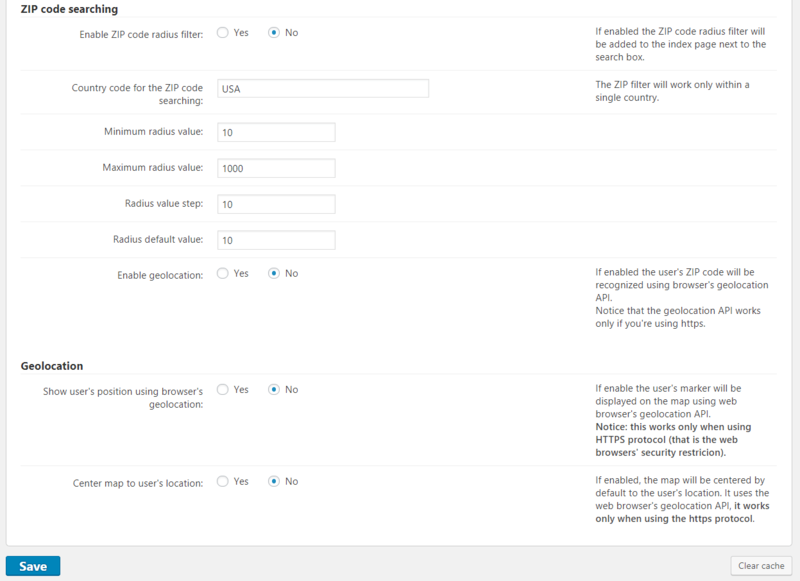 Added option to remove route params separator. Improved the settings page layout. Fixed issue with showing the weather. Fixed the issues with importing routes. Added option to disable creating the ending marker for an imported route. Added fancy style option and the background color setting. 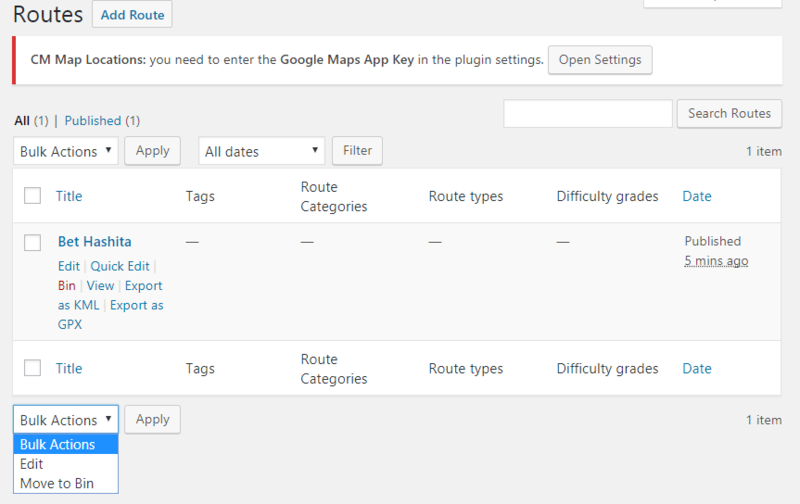 Added option to show route params above the map. Added option to put values of the route params on the top. Added option to disable the travel mode switch. 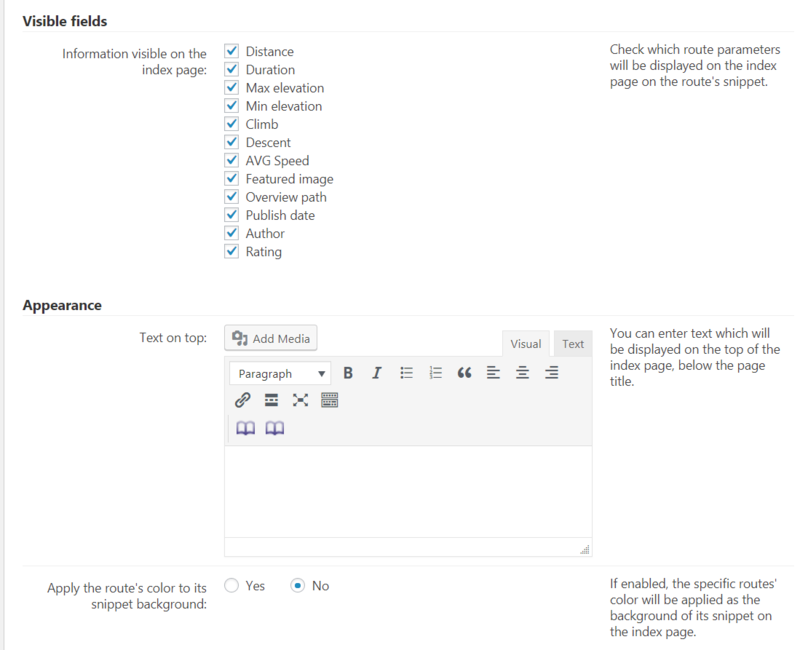 Added option to disable the index page map. Added layout options for the index page: list and tiles. Added option to set the tiles width. 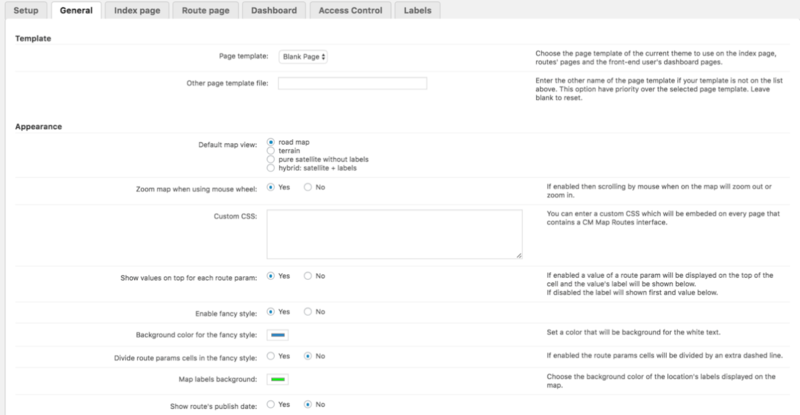 Added new params layout and fancy to the route-snippet shortcode. Separated route path and points of interests. Optimized storing the route’s path. Improved KML/GPX import support and removed the importing waypoints limit. Fixed PHP error in the shortcodes information view. Fixed map api key information. Fixed CSS issue with the elevation graph not displaying. 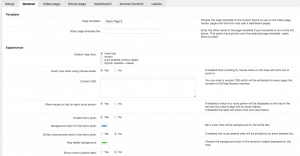 Fixed issue with including page templates from child theme. Added option to change the default map type: roadmap, satellite, terrain, hybrid. Added recalculating the route parameters after import. Fixed creating overview path for imported routes. Fixed issue with importing GPX files. Fixed issue with map bounds and initial scaling. Fixed issue with adding image to route. Fixed default map’s editor coordinates issue. Showing message after updated a route. Fixed issue with viewpoint bounds for the index map. Default travel mode changed to Direct. Displaying Google error message explanations. Added option to use rich text editor or simple editor for the map description. Added GPX import and export support. Keeping the original imported KML/GPX file on the server and exporting it on the front-end. 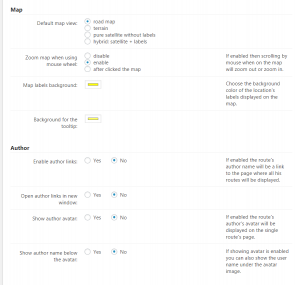 Added WP Comments support per each map. Added option to define sorting order on the routes index. Included new licensing api support. Fixed issue with X theme. Fixed the sticky post issue. 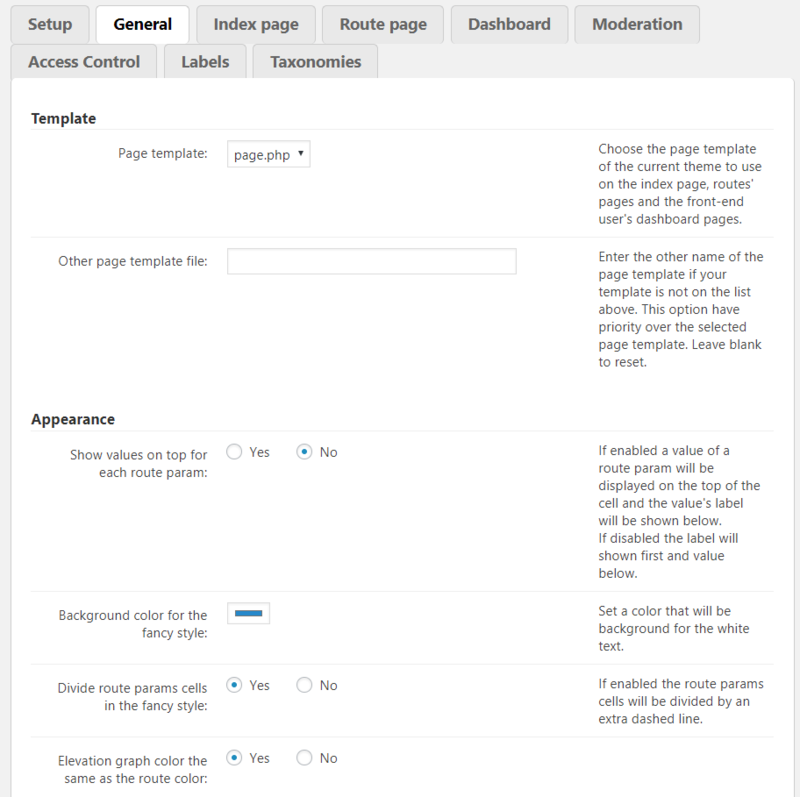 Added option to choose page template for the front-end. Fixed issue with the KML file import. Added admin notification to create a menu sidebar widget. Added option to show travel textual directions. Added bulk export & import feature. Improved KML export and import. Fixed issue with editing duration.